The United Nations has announced $11 million of emergency aid to help displaced families return home. The money from the UN Central Emergency Response Fund (CERF) targets 268,000 women, men and children who had been internally displaced by conflict. “People who fled their homes with nothing are returning to nothing. They need urgent support to recover their lost livelihoods and rebuild their lives,” said Mark Lowcock, Emergency Relief Coordinator and Under-Secretary-General for Humanitarian Affairs on Thursday in Juba. The money will cater for food, shelter and other basic necessities. It will also help families buy tools and seeds in preparation for the rainy season due in May. Mr Lowcock said non-food items, including buckets and mosquito nets would be provided in 10 priority areas. Healthcare, education, clean water and sanitation facilities and security will also be restored. Alain Noudéhou, the UN Humanitarian Coordinator in South Sudan, said people have been moving back to their homes since January. “We are observing an increasing number of population movements across South Sudan, including many people returning to their home areas. It is vital that they do this in a voluntary, informed and dignified way,” he said. Women and girls would be protected from violence. Mr Noudéhou added more funding was urgently needed for humanitarian support and essential services. Some 1.9 million South Sudanese people fled their homes in 2013 because of the conflict and now live in settlements throughout the country. 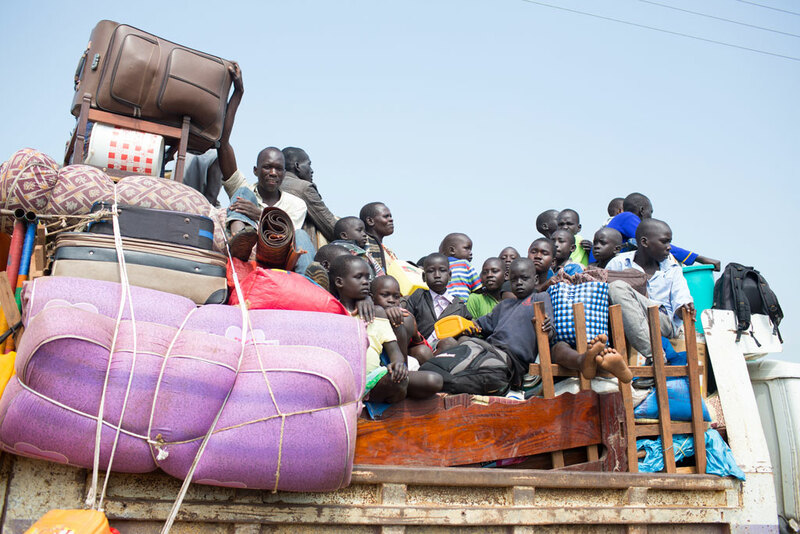 According to the UN, another 2.3 million South Sudanese are refugees in neighbouring countries. The UN is mobilising $1.5 billion for the South Sudan Humanitarian Response Plan this year. The plan targets relief for 5.7 million people but only $75 million has been raised so far. The humanitarian crises in South Sudan is one of the worst in the world, together with those in Syria and Yemen.